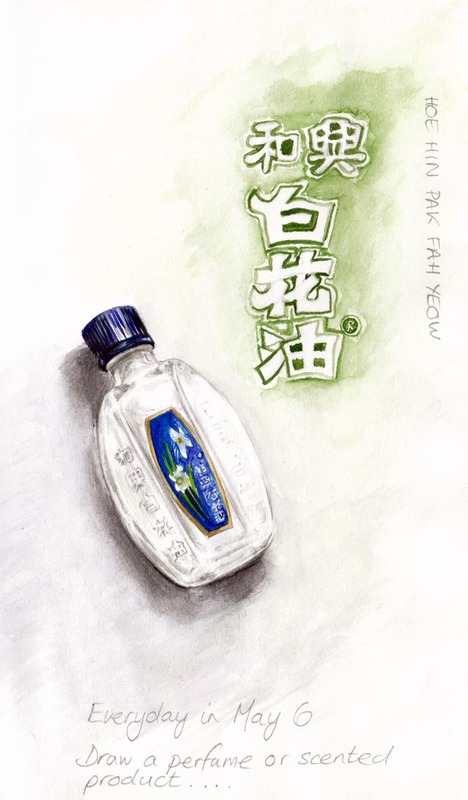 Draw a perfume or scented product......Hoe Hin Pak Fah Yeow...White Flower oil embrocation. All of your EDM are lovely Debra! I like the light shadow on the page, (as well as the heavier shadow). I try and comment on lots of EDiM drawings, but between flickr, facebook and blogs it gets busy ! Beautifully drawn! Love the clarity and transparency of the bottle and the words on it too, details on the bottle cap looks great!